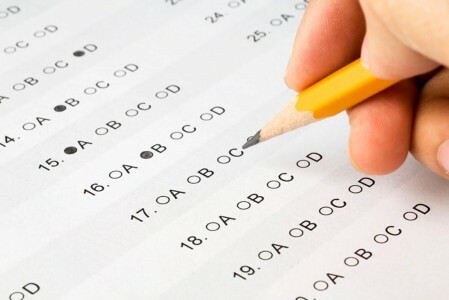 Giving an entrance examination is always tricky - Comedk is one such exam. Sisir Mukherjee, with his years of experience of guiding students, takes the pain out of the examination process by giving you various tips, so that you can focus on the Comedk exam and get a good rank to get into a top college. Not only the syllabus is different exams across the countries are different, every exam focuses more on something or the other. If you focus on fewer exams, you have higher chances of cracking them. Many exam dates might clash and you can't attend an exam in West Bengal on Monday and Comedk the next day. So, plan properly to avoid any clashes. Don't run around the country for exams. You will not only save a lot of money, you will be mentally fresh when you sit for the exams. Every state would have some form of entrance exam, but they might not have the type of top colleges you have in mind. If you are interested for Bangalore colleges, you don't really need to attend an entrance exam in Assam for example. Ask yourself where you really want to study. If you have decided on Comedk, read on. This sounds easy? Think again. Most students fill up the examination forms without really reading the rules and get rude surprises later on. Check if you meet the eligibility criteria for taking the test. Sounds pretty normal, but people do mess this one too. Check if you are eligible for any scholarship. Nothing like saving some money. Check out the conditions where your application might get rejected and how to re-apply. Do not use give false information. Check for spelling mistakes. Your birth date should match your 10th standard marks card. Make sure your completed application reach Comedk office at least a week before the last date. Better safe, than sorry. Note down your application number. If you don't write it down, you will not be able to download your hall ticket, and there is no way to retrieve it. Hundreds of students have faced this problem and couldn't attend the exam. Comedk examination body runs a very advanced online system to help candidates to track the entire process of their application. The system gets activated after the application is processed by the Comedk office. You need to click on "Applicant Login" on the Comedk page and enter your "Application Number" and "Date of Birth". Test Admission Tickets (TAT) are not send to any applicant through post or courier. No TAT=No exam. Applicants can not change their test centers. Applicants have to download TATs online using Internet Explorer browser. TATs should include: TAT number, applicant name, address, contact details, photo, test center and time of the exam. If anything is not there, it won't be considered as a valid document. Keep the TAT till the admission process is complete. After the entrance test, you won't be able to download a duplicate one. Book airline/rail tickets at least 3-4 months ahead, if not more. Getting tickets is a huge problem for the exam day. Make sure to come to Bangalore at least 1-2 days ahead and do a recce of your test center. Very few hotels take advance bookings for the Comedk exam period and those who do charge exorbitant rates. Ask for help from people you know to get the bookings done. The city literally runs out of hotel rooms at convenient locations. Book cabs a day before to go to the exam centers. Exam starts at 10 am. Please be at the test venue at least 1 hour before. You won't get toilet breaks during the test, so, make sure you are prepared. Test centers are : Bangalore (01), Mysore (02) and Tumkur (03). Use only blue or black ball-point pens to fill optical mark sheets.